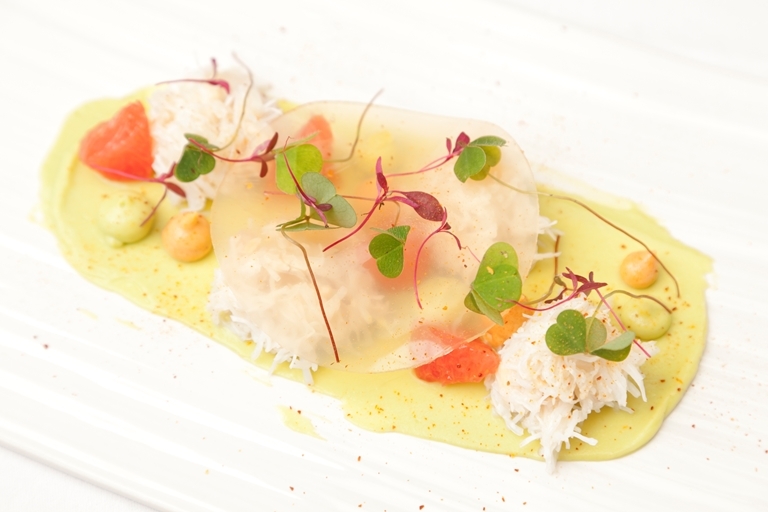 Nigel Mendam's king crab with avocado recipe riffs on the classic flavour combination of crab, grapefruit and avocado. He serves a smooth avocado purée at the base of the plate, followed by white king crab meat, grapefruit segments and a translucent disc of grapefruit jelly. Surprising and joyful in equal measure.